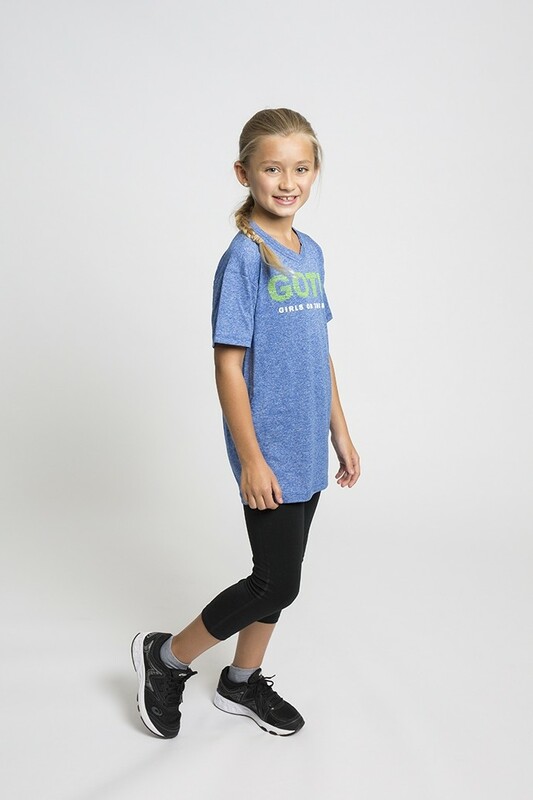 A wardrobe staple that goes beyond basic, the girl's Tech T-shirt wicks moisture and dries quickly to keep you cool and comfortable while running or at practice. 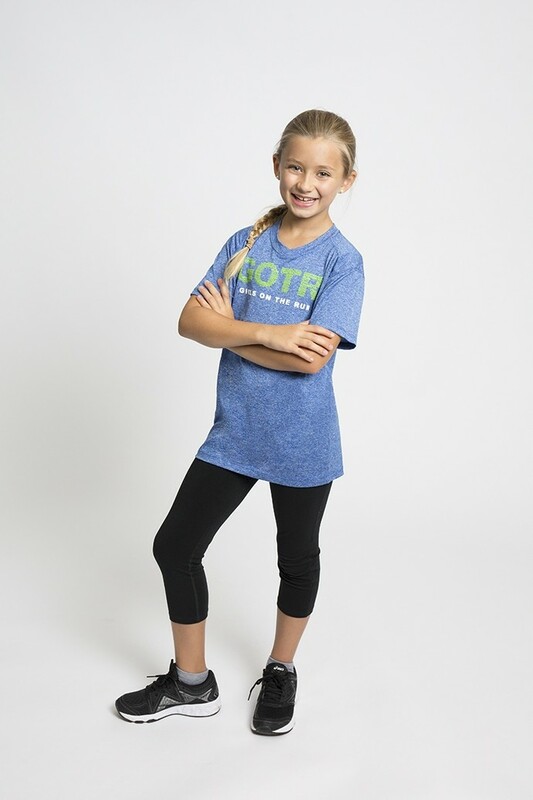 The v neck and semi fitted style along with positive words that define what Girls on the Run is make this shirt perfect for everyday use. 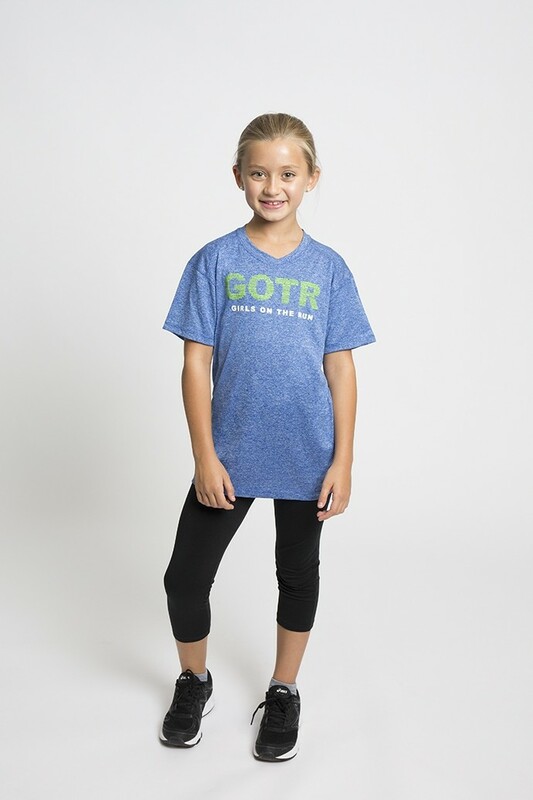 The model is 3’ 7” and is wearing a size small. The base shirt is Augusta and it is semi-fitted.